over at Just Us Girls! The colors I have for you today… I know you are going to LOVE! 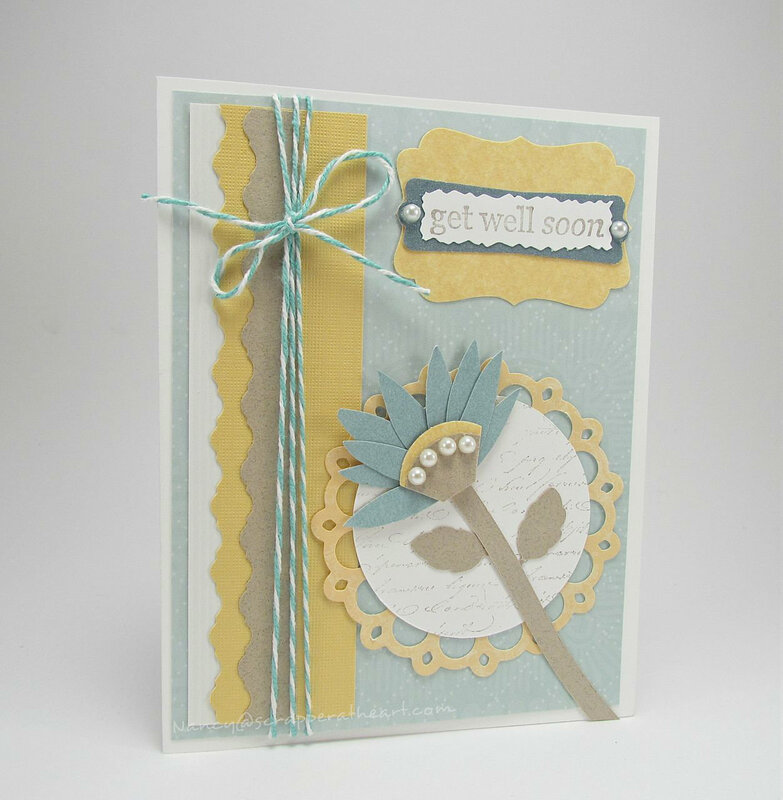 Harvest Gold, Aqua, Kraft and White! as you can and play along with us anyways! 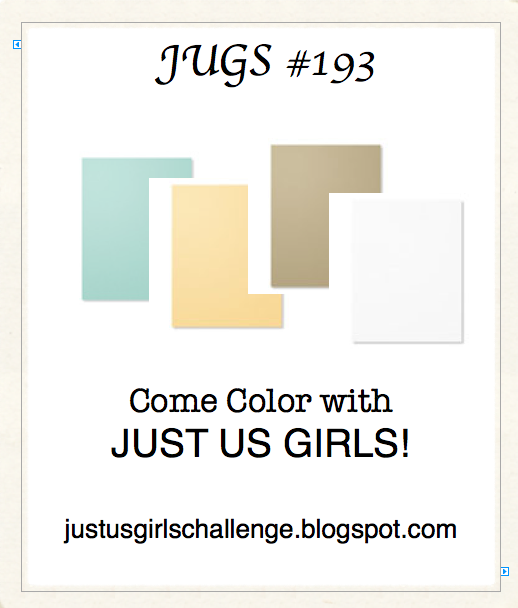 link to Just Us Girls Blog! You can also click on my graphic and it will take you there as well! Sure hope you come by and play along with me! If you have any questions on the card details….Please ask! Categories: cardmaking, Cards | Tags: Card making, Cards, color challenge, cuttlebug, fiskars, Get well, Gkd, rubber stamps, stamping, Stamping Up | Permalink. I absolutely luv the name you give yourselves, JUGS! Beautiful card!! This is JUST beautiful Nancy! I love the layout and the colors are terrific! Wishing you a terrific weekend my friend! Oh so pretty Nancy! Love the layout and flower! Great use of the colors!